While traveling 40 years in the Sinai Peninsula, the Israelites complained that they wanted the fish, leeks, onions, and melons they had eaten in Egypt (Numbers 11:4). They glorified the past, forgetting that in Egypt they were slaves and treated brutally; even their children were killed. Before I condemn the Israelites’ behavior, I need to think about my own complaining and that sometimes I glorify the past. Ideally, I should live in the present, not comparing it with the past or dreaming about an idealized future. 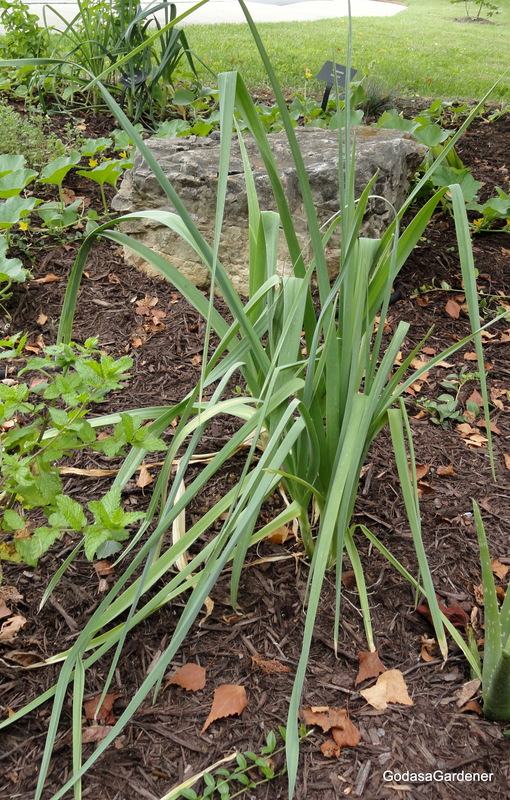 Leeks are planted in St. John Lutheran Church Bible Garden in Roanoke, Virginia. This entry was posted in Uncategorized and tagged Bible Plants, Bible Study, God, God as a Gardener, Israelities, Leeks, plants. Bookmark the permalink.